Today, we left Siracusa, and ventured out to Mount Etna, Aci Trezza, and the center of Catania. Mount Etna was certainly an experience… The temperature fell below 35 degrees Fahrenheit, much colder than the rest of the places we stayed in, and VERY windy. It was a very striking landscape, but I thought I might blow away. 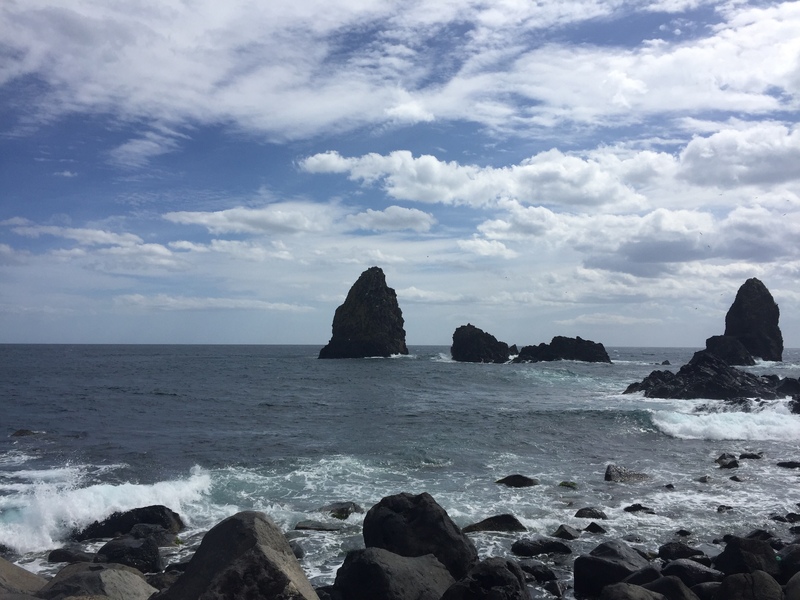 After Etna, we drove to Aci Trezza, a coastal part of Catania, where we overlooked a chain of large boulders in the water, pictured in this post. Classicists associate these rocks with the Odyssey, and the cyclops that Odysseus and his men trick. Then, we drove to our hotel in Catania — the Domus hotel, ate some really tasty street food, and then walked around a bit to the main piazzas and notable statues in the central area. For the rest of the day, we were left to explore on our own. We ended the day with a group dinner — the “Last Supper”, in which I ate a plate of pasta alle vongole, calamari fritti, and tiramisù. Certainly a happy note to end our trip on.